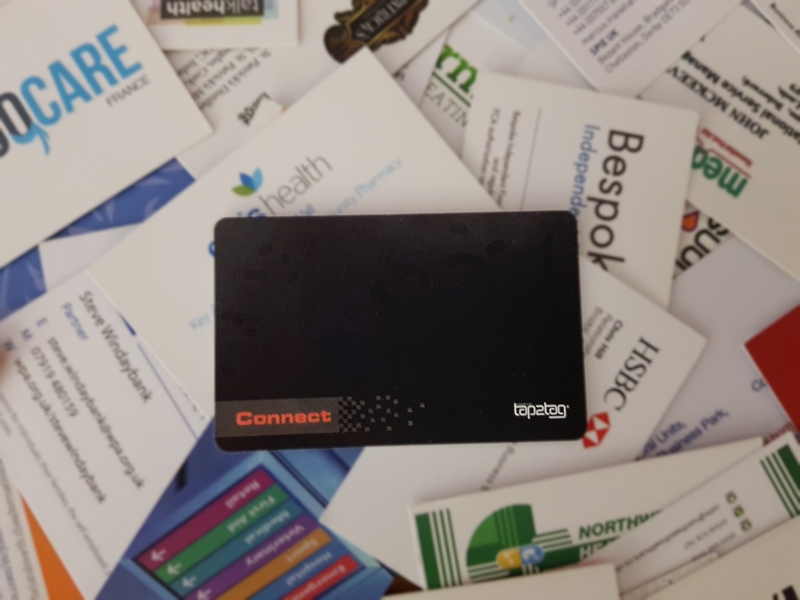 The Tap2Tag Digital Connect Card is the last business card you will ever need. All you do is tap your business card against the person's mobile phone and your contact details are downloaded into their contact list. No need for your customer to re-type your card or use an app to capture the data. It simply works. But the best thing about the card is that you can gather data too. When you edit your business Connect profile you can hit the "Toggle" button. This means that when a customer taps their phone against your card, you will first be asking them to provide their name and email address. The data is then emailed to them along with any corporate literature and pricelists that you have already embedded into your profile. In other words the sales process has already started. Imagine how much time this will save at networking events or trade shows. 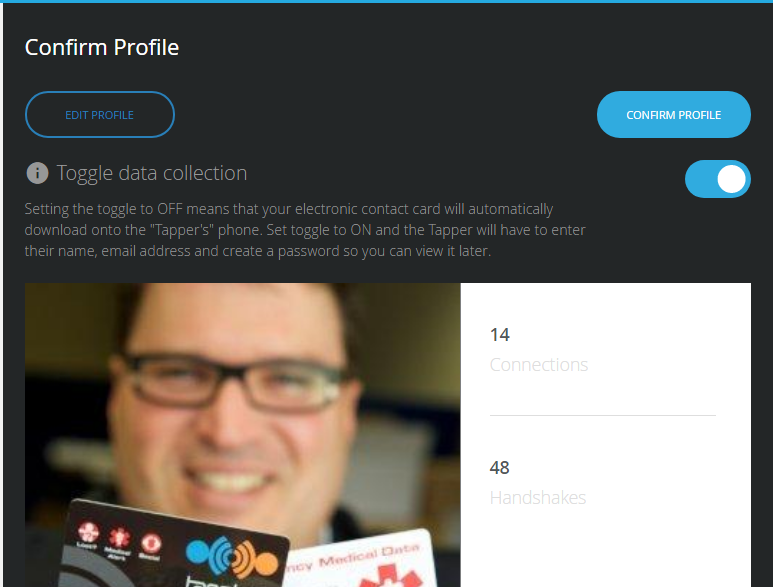 And when you need to see who has had your business card simply log in to your Tap2Tag account and the connections you have made will be there for you to use for after sales. And there's something even better...it's free to use once you have your Connect Card.